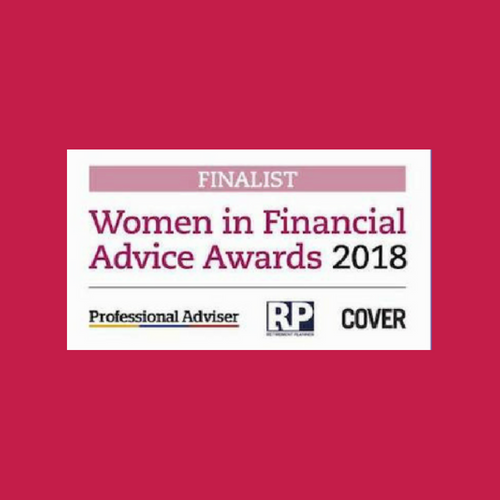 Last week we received some fantastic news; we have been shortlisted for Professional Adviser’s ‘Women in Financial Advice Awards’ – in fact, two members of the Apricity team have been shortlisted for 3 different awards! Cathi Harrison – our Founder & Owner – is a shortlisted finalist in two categories. This includes ‘Most Inspiring Returner of the Year’, which follows the incredible comeback from maternity leave with a brand–new business idea, (the very time Apricity was born!). Cathi has also been shortlisted in the category, ‘Woman of the Year – Adviser Support Services’, for her overall contribution to the profession across both businesses, (including our sister company Para-Sols). Natalie Bell, our Director of Culture & Engagement, is a finalist in the ‘Rising Star’ category having been recognised for her cross-sector working. Despite joining financial services just a short 19-months ago following a career move working with the public sector, her wealth of knowledge and experience of successful engagement – namely change initiatives for the NHS and generational theory within youth employability, welfare to work and justice – has proved instrumental in the development and success of this business. Having an all-female Strategic Leadership Team is rare in financial services. Very rare. And although, it wasn’t created by design, but rather by coincidence, it’s a uniqueness we’re proud of so, to be recognised for our efforts at a national level is amazing for us as a company. We are very proud of this achievement, especially as there were over 800 applicants! Good luck to everyone who has reached the final stage of the awards, it’s great to be listed alongside some incredibly inspirational names. We’ll see you in London!